1. 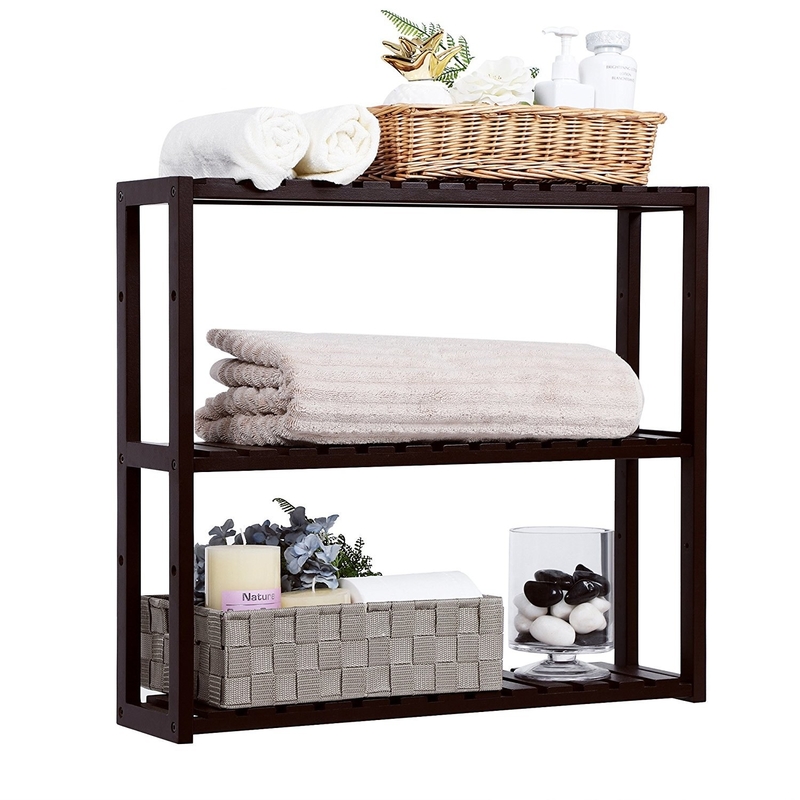 Store extra bath products and towels on an aesthetically pleasing rolling cart. Get it from Urban Outfitters for $69. Check out another option from Amazon here. 2. Prevent your hair tools from getting tangled together with a heat-resistant style station. You can hang it on a towel rack or store it in a cabinet! 3. Choose a shower curtain with mesh pockets to keep your shower/tub clutter-free. This shower curtain measures 70" x 72"! Check out our review of this mesh pocket shower curtain (#2 on the list)! Get it from Amazon for $10.98. 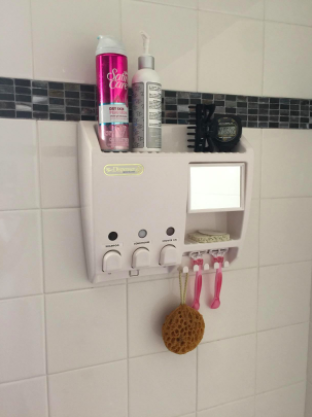 Or, check out a mesh organizer you can add on to your existing shower curtain. 4. Keep your toothbrushes and toothpaste neat and dry in an adorable elephant holder that drains through the trunk. Get it from Amazon for $8.75 (available in five colors). 5. Stick a set of magnetic pods on the inside of your medicine cabinet for easy access to your favorite makeup items. Get a three-pack from The Container Store for $9.99 (also available with sticky backs for non-metal medicine cabinets). 6. Provide yourself with some enclosed storage space thanks to a narrow cabinet that'll fit in the awkward space between the toilet and the sink. Get it from Walmart or Hayneedle for $109.99 (available in two colors). 7. 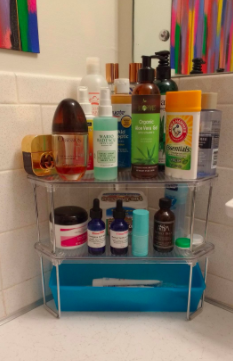 Give every bathroom essential its own place in an over-door organizer. Get it from Amazon for $12.99 (available in two sizes and three colors). Check out two other options on Amazon here and here. 8. 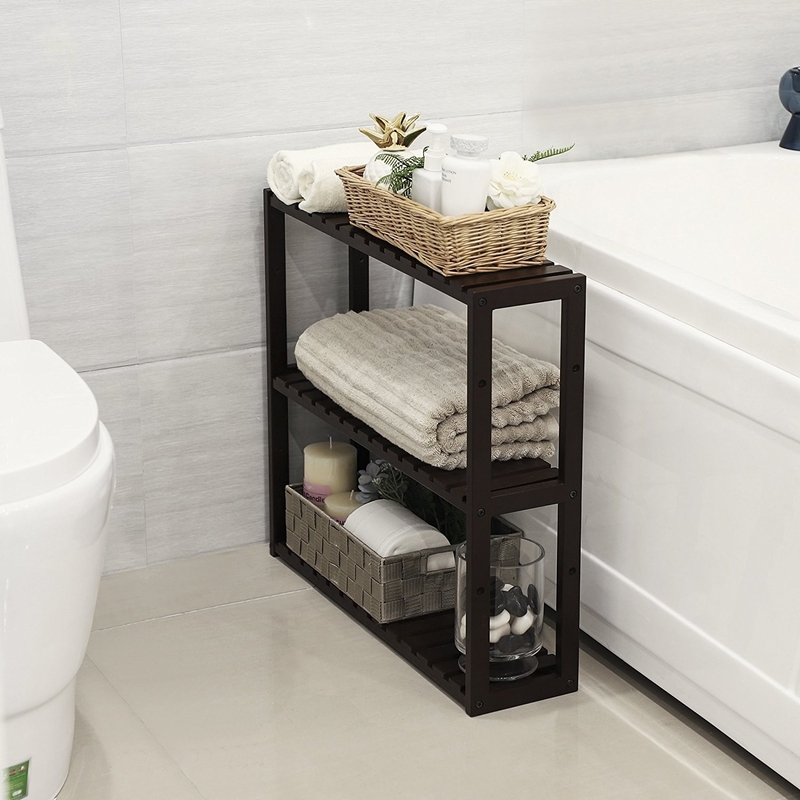 Utilize narrow spaces with a slide-out storage tower. The best part is you can hide it away when it's not in use! 9. Make it easier to see and access all your bath products by installing two-tier mesh drawers in the sink cabinet. These drawers slide in and out easily, so you can grab what you need without rearranging the entire cabinet! Get it from The Container Store for $24.99 (also available in another style here). 10. Avoid knocking shower products off the tub rim by putting everything in a hanging caddy. Get it from Amazon for $20+ (available in three colors) or Urban Outfitters for $24 (available in two colors). 11. Put cotton swabs, pads, and puffs into an acrylic storage container. This way you can buy in bulk, store extras in the cabinet, and keep only what you need out on the counter. This acrylic container features two connected compartments and comes with a lid that you can use as a catchall! 12. 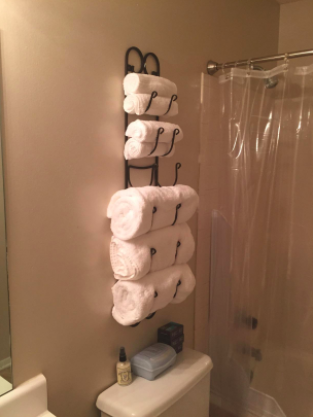 Display clean towels on a wall-mounted rack. 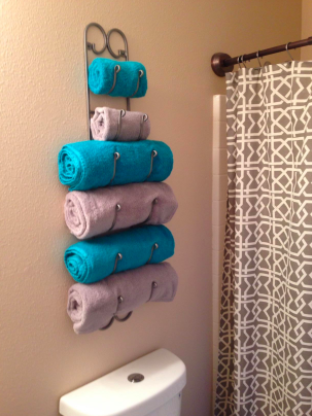 It's a great way to store towels if you don't have a linen closet! This multi-use rack can also be used to store wine, hats, or whatever else you can roll up! 14. Bump up your medicine cabinet storage space with multi-compartment organizers. Get them from Amazon for $9.04+ (available in three styles). 15. 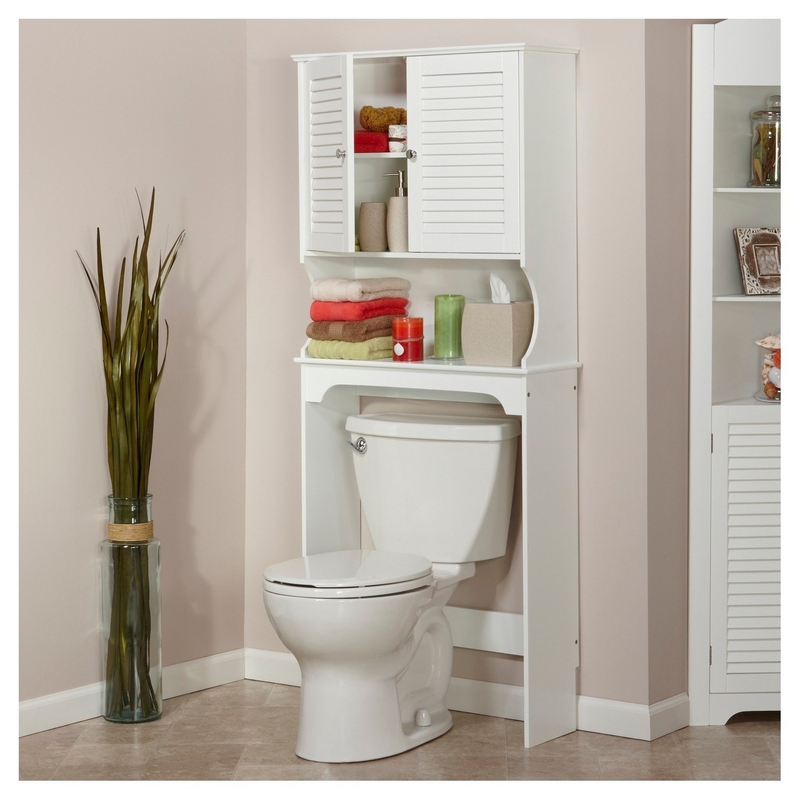 Attach a storage cabinet behind the door to permanently solve your small bathroom problems. Get it from Amazon for $159.99 (available in three styles). 16. Save space with a three-tier bamboo rack that can be wall-mounted or left free-standing, depending on how much wall/floor space you have. Get it from Amazon for $29.99+ (available in three colors). Check out another option from Amazon here. 17. 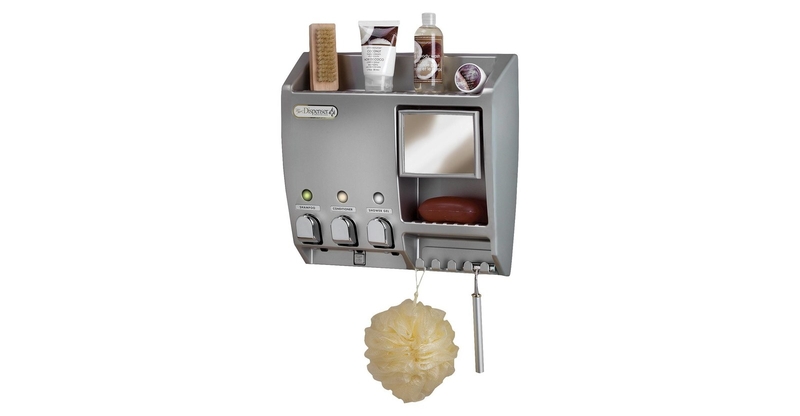 Tuck away your hair tools out of sight using an over-cabinet styling station. 18. Eliminate bottle clutter by installing a shower dispenser. The top functions as a shelf for other products, and it also has a fog-resistant mirror, soap compartment, and razor hooks! Get it from Amazon for $38.02+ (available in two colors). 19. Provide an extra roll and some reading material for guests (and yourself) with a TP stand. Get it from Amazon for $27.59 (available in four styles). 20. 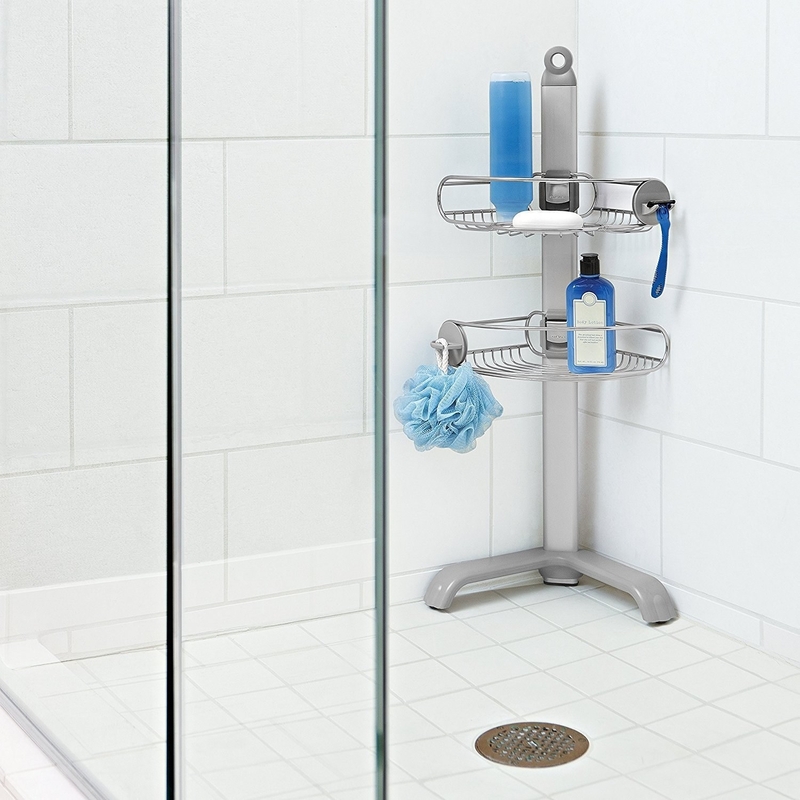 Free up the shower floor by using a stainless-steel corner caddy. 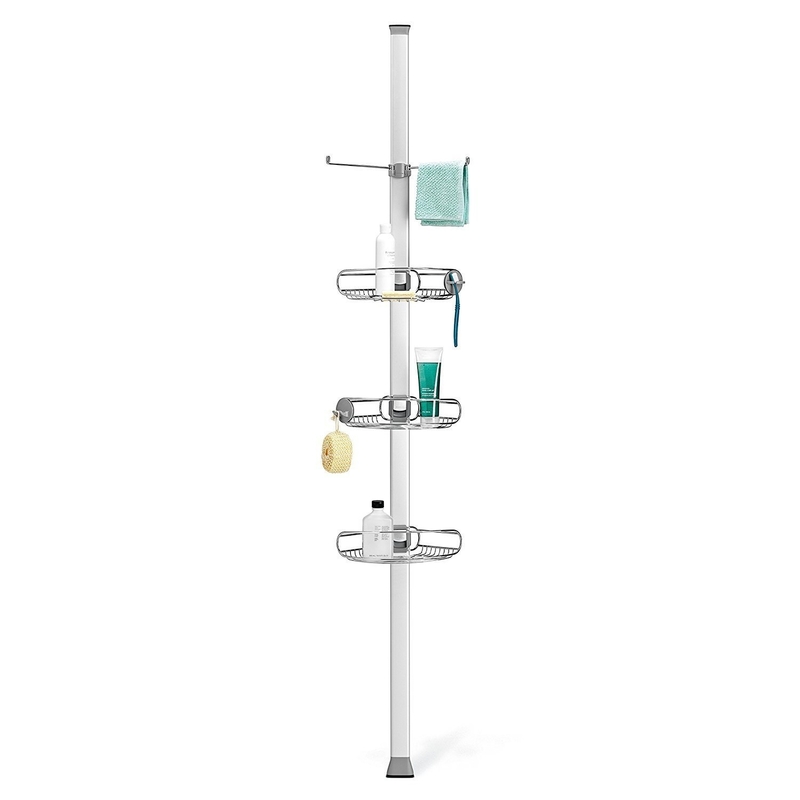 Depending on how tall your shower is, you can opt for a tension caddy or a free-standing one. I've used the Simple Human tension caddy in an old apartment, and it's extremely sturdy. It doesn't budge no matter how many heavy products you store on it! 21. 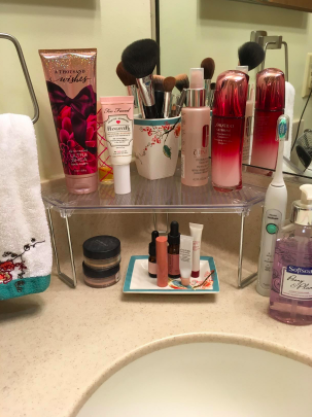 Organize your bathroom cleaning supplies with an expandable under-sink rack. You can adjust the height of the shelves, too! Get it from Amazon for $21.87 (available in two colors). 22. Sort out everything in your drawers and store them in individual boxes, so you can see everything at a glance. Get a five-pack from Amazon for $24.99+ (available in two sizes). 23. Affix a silicone pocket to the wall to catch your toiletries if there's just no room on the sink. There are drainage holes on the bottom to prevent mildew growth. It works on any glass, mirror, tile or marble surface! Get it from Amazon for $17.99 (available in three colors) or Urban Outfitters for $18 (available in two colors). 24. 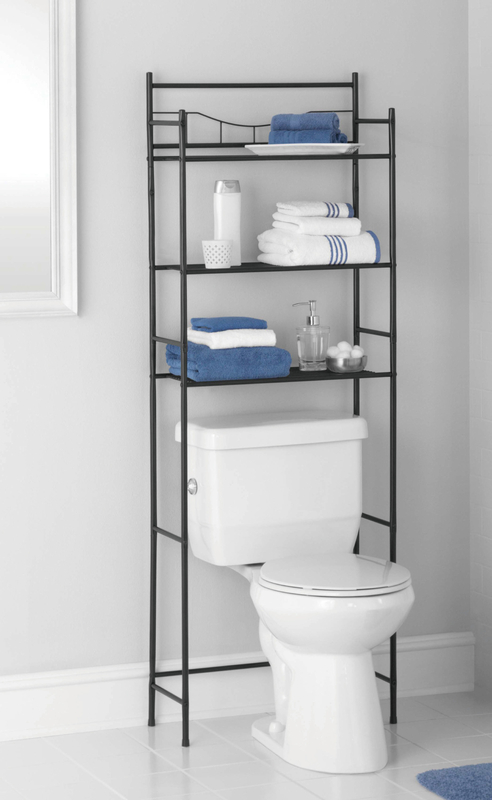 Take advantage of vertical space with an over-toilet shelf. If you feel icky about having things right on top of the toilet, you can always choose a space saver with doors. Get the left one from Walmart for $19.97 and the right one from Target for $43.49 (available in two colors). Check out another option from Amazon here. 25. Dry towels and bath mats on a ladder. It's low profile like a regular towel rack but fits a lot more. 26. Boost your counter space with a set of stackable corner shelves. Get a two-pack from Amazon for $16.99. 27. Loop your bath products in an ~ink-redibly~ cute and useful shower squid instead of using a plain ol' shower caddy. Get it from Uncommongoods for $33. Your bathroom will be so neat that even Monica will give you a thumbs up.